Congress MP Shashi Tharoor has sent a legal notice to Union Law Minister Ravi Shankar Prasad seeking an “unconditional apology” for calling him a “murder accused”. “You are well aware that in the ongoing criminal case against Shashi Tharoor in relation to the death of his late wife Sunanda Pushkar, the offence alleged by the prosecution against him is not that of murder and the trial court is yet to frame any charges against him,” read the legal notice sent by law firm Suraj Krishna and Associates on behalf of Tharoor. “Even the police charge sheet against Shashi Tharoor does not contain any allegations of murder. 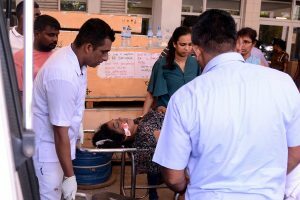 Your purposeful comment that Shashi Tharoor is chargesheeted in a serious allegation of murder seems to have some oblique motives,” it said. “In the above circumstances, you have clearly committed the offence of defamation for which you are liable to be tried before a court of law,” it said, as it demanded the taking down of the video clip from social media wherein Prasad is seen making the said comments. “You are hereby called upon to tender an unconditional and written apology within 48 hours of the receipt of this notice for making such an untrue, false and baseless imputation against Shashi Tharoor… to avoid the consequences of a litigation,” it said. 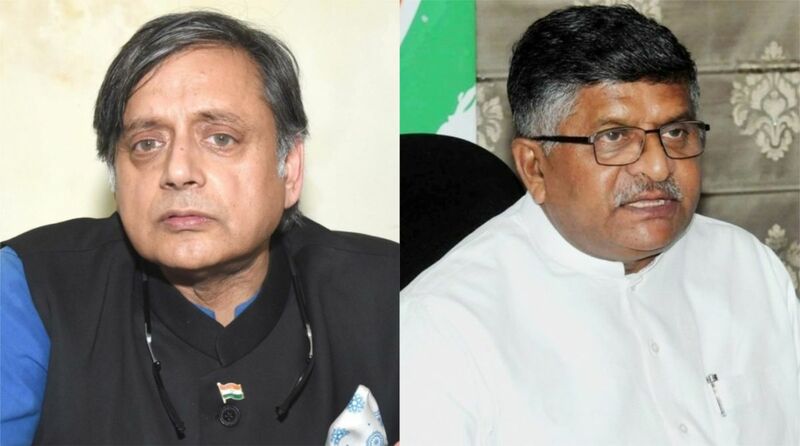 Tharoor said Prasad’s comments were “false, malicious and defamatory”. Prasad had called Tharoor an accused in a murder case while commenting on a religious issue. “If you think about it that’s a very, very profound understanding of the relationship because If you remove a scorpion with your hand you will be stung very badly but if you hit a Shivling with a chappal then you have undermined all the sacred tenets of the faith,” Tharoor added. Tharoor’s remarks came in for sharp criticism from the Bharatiya Janata Party (BJP). Ravi Shankar Prasad, Union Law Minister, reportedly referred to Tharoor as a “small leader” and demanded an apology from Congress president Rahul Gandhi. The law minister further shared a video of the press conference on Twitter, captioning it, “Shashi Tharoor who is accused in a murder case has attempted to disrespect Lord Shiva. I seek a reply from Rahul Gandhi who claims himself to be a Bhakt of Lord Shiva on this horrific denunciation of Hindu gods by a Congress MP. Rahul Gandhi must apologize to all Hindus”.